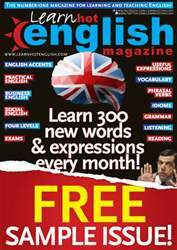 To improve your English by reading about music and listening to song lyrics. Have you heard any songs by any of these stars? What do you think of them? Do any singers or groups from your country sing in English? How successful have they been internationally? Here are three Latin pop stars who’ve become internationally famous after crossing over into the English-speaking market. Ricky Martin (born December 1971) started off his musical career at the age of 12 in the all-boy pop band Menudo. After five years with the group, Ricky launched a solo career, releasing his first album, Ricky Martin, in 1991. Since then, he’s become one of the most successful Latin stars of all time, especially after the release in 1999 of his singleLivin’ La Vida Loca. The song helped with Ricky’s success in the USA and the world. It’s also said to have helped other Latin artists (including Enrique Iglesias and Shakira) cross over into the English-speaking market. His Grammyaward winning track, The Cup of Life (La Copa de Vida) was the official song of the 1998 FIFA World Cup.